With their brightly coloured robes, ornate thrones and legions of flunkey’s attending every whim, they seem every bit the typical African kings. Nigerian kings are known for their unique style and carriage. They set themselves apart from other monarchs in the world and are definitely in a league of their own in terms of poise and character. Oba Saheed Elegushi had his coronation as the Elegushi of Ikate Kingdom, Kusenla II, on the 27th of April 2010. He was, at the time, the youngest monarch in Lagos state at 34 years. The Master’s Degree-holder from the Manchester University, prior to his coronation, served in the Lagos state government as a Senior Special Assistant in-charge of Special duties. The fun-loving traditional ruler, who is regarded as the closest friend to the Oni of Ife, rakes in millions daily as income from the popular Elegushi beach in Lagos. The young monarch owns a custom made bulletproof Rolls Royce Gushi. The Olugbo of Ugbo Kingdom in Ondo State is a financial enigma. In March 2014 Forbes estimated his net worth as US$300 million. He was thus ranked by Forbes magazine as the second richest King in Africa and the richest in Nigeria. In the ranking, in Africa, he came second behind King Mohammed VI of Morocco. Indeed, the Olugbo of Ugbo has a custom built 2012 Rolls Royce similar to one owned by Queen Elizabeth II. The Olugbo of Ugbo Kingdom is the Chairman of Obat Oil. Since his coronation, His Imperial Majesty, Oba Adeyeye Enitan Ogunwusi, the Ooni of Ife, has demonstrated tirelessness in expanding the influence of the Yoruba culture and to unite it with other cultures and ethnicities. Clearly, the Ooni has shown that he is not one who believes in sedentary rulerships. The highly revered Yoruba monarch, rather than merely issue royal instructions and proclamations, sometimes finds the need to travel to far-flung locations to get things accomplished. The debonair Ife monarch, amongst several exotic cars, also owns an ultra-luxury 2011 model Rolls-Royce Phantom. For a monarch whose style of dressing; comportments and choice of stylish paraphernalia all exude opulence and royalty the Rolls-Royce Phantom is indeed a befitting means of transportation. Owning Rolls Royces is almost an entrenched tradition of the Kano Emirate. Long before it became mainstream, the Kano Emirate have been acquiring Rolls Royces. On February 27, 1956, when the freshly-crowned Queen Elizabeth visited Nigeria, she was chauffeured around in a Rolls Royce Wraith loaned and made available for the visiting English monarch by the Kano Emirate. 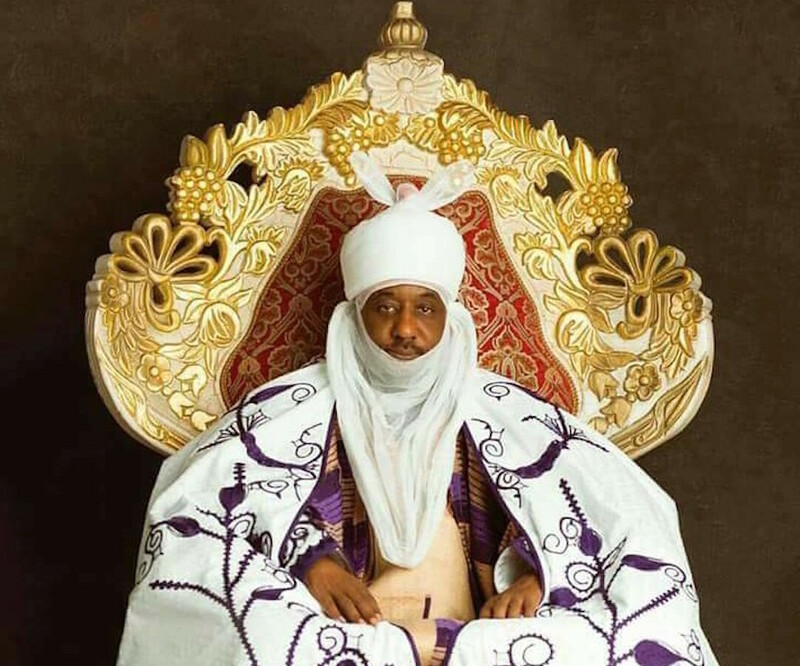 In September 2016, the maverick former Governor of the Central Bank of Nigeria, Alhaji Muhammadu Sanusi II, the Emir of Kano, in keeping with that tradition, bought for himself a few Rolls Royces. It includes a brand new 2016 Rolls Royce Phantom. Upon purchase, the well-respected Emir shared the picture of the new car Rolls Royce on social media. On his official instagram page, the Emir captioned the shared pictures thus: “Has just been added”. The price of the 2016 Rolls-Royce Phantom is estimated at about N150 million ($417,825). The former Nigerian ambassador to Italy, Spain, Angola and Sweden is one monarch with demonstrable swag. Prior to his ascension to the throne of one of Africa’s most celebrated Kingdoms, he excelled in private business, specifically in the oil sector. The Edo monarch, who has earned an early reputation as a “disciplinarian Oba” with zero tolerance for land-grab in his kingdom, shortly before his coronation on the 20 October, 2016, acquired for himself a 2016 Rolls-Royce Phantom. The luxury vehicle was launched at the thanksgiving ceremony, which held at Holy Arousa Cathedral, Akpakpava street, Benin City. These Nigerian Kings, are sure living the life..